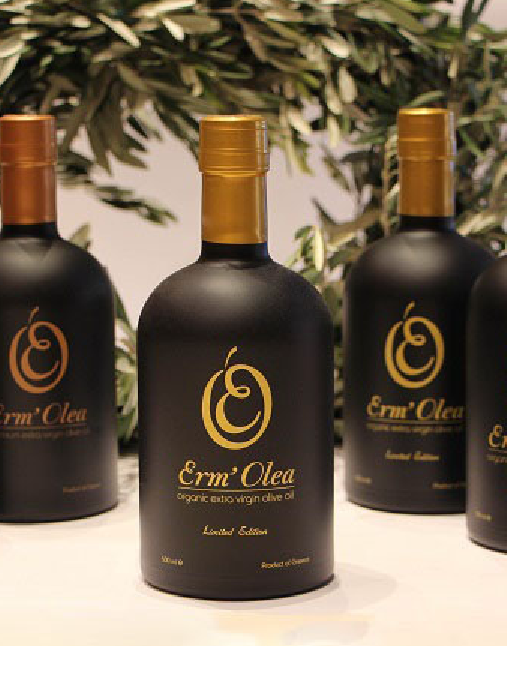 Erm’olea wins Gold Gold Aristion Award as Extra Virgin Olive Oil (middle fruity) at 7th Aristion 2015 Internasional Olive Oil Competition which held in Greece one month ago. 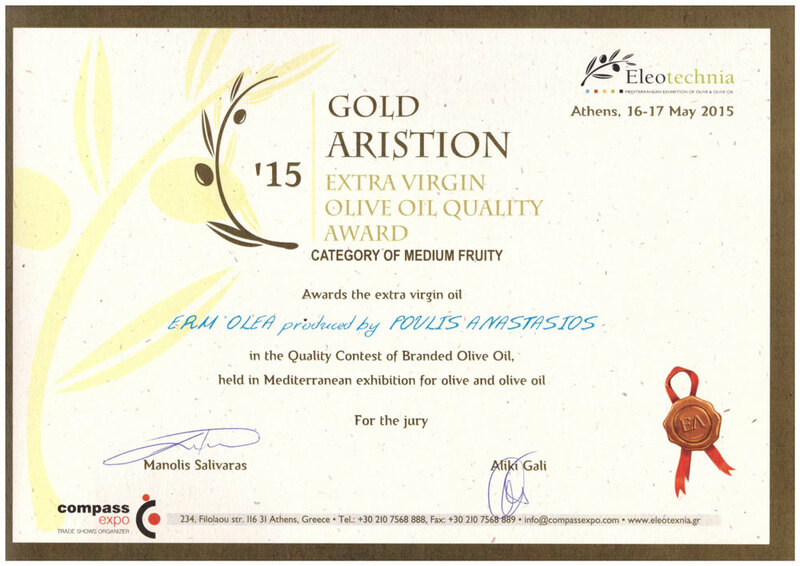 The purpose of the Aristion competition was the promotion of the diversity of varieties and of the high quality of olive oils produced with the aim of advancing the knowledge of their tasting differences. 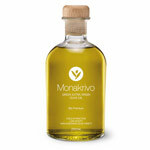 Erm’olea Extra Virgin Olive Oil cultivated in magical Ermionida-Kranidi of Greece and is a P.D.O. 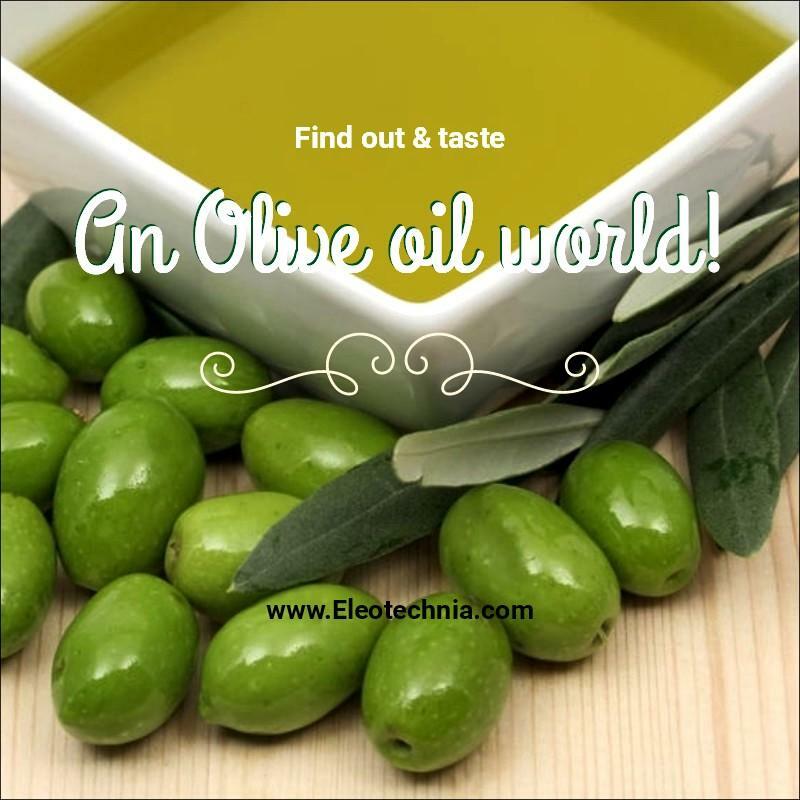 (protected designation of origin) PRODUCT.